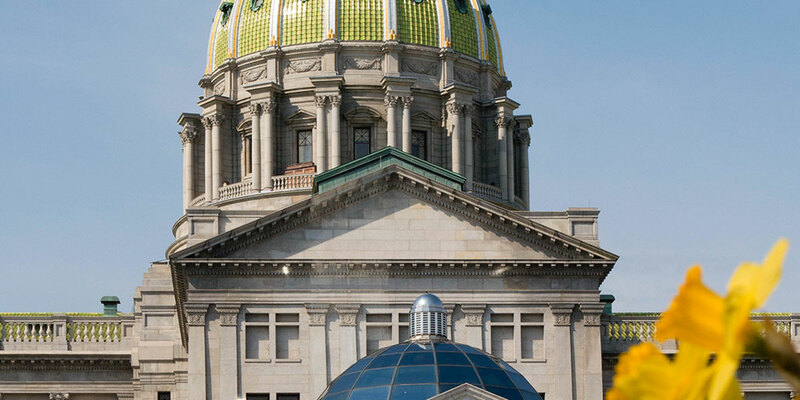 Harrisburg, PA – Governor Tom Wolf today announced seven new project approvals through the Commonwealth Financing Authority (CFA), totaling more than $20.7 million in funding to support business growth in Pennsylvania that will lead to the creation and retention of more than 1,145 jobs. $442,274 grant to Leatherstocking Gas Company, LLC, for the extension of a gas line to serve the Borough of Montrose and Township of Bridgewater. The project, with a total estimated cost of $884,548, is anticipated to create 100 jobs and retain 80 jobs. Martinsburg Borough was awarded an $81,045 grant and a $143,097 loan to assist in the redevelopment of an abandoned automobile sales building on 1.26 acres in Martinsburg Borough. BOS funds will be used for acquisition, demolition, water and sewer infrastructure, sidewalks, ramps, curbing, parking, engineering, inspections, and administrative costs. The project, with a total estimated cost of $294,142, is anticipated to create 10 jobs and retain 25 jobs. The Chester County Industrial Development Authority was awarded a $2,153,570 grant and a $3,230,357 loan to assist with the Coatesville Gateway Redevelopment project in the City of Coatesville. BOS funds will be used for acquisition, environmental remediation, demolition, roads, streets, excavation and grading, utilities, landscaping, and engineering. The project, with a total estimated cost of $21,637,305, is anticipated to create 90 jobs. The Clarion County Industrial Authority was awarded a $1,033,214 grant and a $4,256,952 loan to assist in the redevelopment of the former Clarion Owens-Illinois Glass Plant located in Clarion Borough. BOS funds will be used for the installation of utilities, site lighting, roads and streets, water and sewer infrastructure, demolition, remediation, excavation and grading, engineering, and legal costs. The project, with a total estimated cost of $39,699,901, is anticipated to create more than 100 jobs. BlakelyRidge, LLC was awarded a $2,918,510 loan for the acquisition of land and the development of the NEPA Wellness Center in Blakely Borough. BOS funds will be used for acquisitions, roads and streets, water and sewer infrastructure, utilities, excavation and grading, professional services, engineering, permitting fees, signage, and landscaping. The project, with a total estimated cost of $3,954,610, is anticipated to create 250 jobs. 2221 Noll Drive, LLC was awarded a $2,516,239 loan to assist with Phase 3 of the development of Lime Spring Square, located in East Hempfield Township. BOS funds will be used for water and sewer infrastructure, landscaping, earthwork, storm water management facilities, off-site and on-site transportation improvements, and floodplain restoration. The project, with a total estimated cost of $4,551,056, is anticipated to create 210 jobs. The Green Knight Economic Development Corporation was awarded a $1,577,712 grant and a $2,366,572 loan to assist with the development of the Green Knight Industrial Park II located in Wind Gap Borough. BOS funds will be used for the installation of roads and streets, water and sewer infrastructure, utilities, demolition, excavation and grading, and engineering. The project, with a total estimated cost of $4,938,717, is anticipated to create 280 jobs. For more information about CFA and to view a complete list of approved projects, visit dced.pa.gov.